This preseason, Ivy Hoops Online will be running in-depth roster previews of all eight Ivy teams. We start with the squad projected to finish last in the conference this season, Cornell. Well, let’s start with half full. Braxton Bunce, Galal Cancer and 2012-13 first-team All-Ivy Shonn Miller return after missing all of last season, and Deion Giddens returns after missing most of last year as well. There’s presumably nowhere to go but up from 2-26, and sophomores like Darryl Smith and Robert Hatter will be well-seasoned after getting pressed into action early and often as rookies a year ago. The Ivy basketball preseason media poll was released yesterday, and the results weren’t surprising, with Harvard garnering all 17 first-place votes. Then Ivy League’s eight head coaches gave a lot of insight into their respective programs during yesterday’s Ivy preseason media teleconference. They knocked on a lot of wood too. Here’s a comprehensive look at what each coach had to say and what their comments actually mean going forward. Columbia issued a statement from head coach Kyle Smith announcing the departure of senior guard Meiko Lyles and sophomore forward Zach En’Wezoh from the Columbia basketball program. 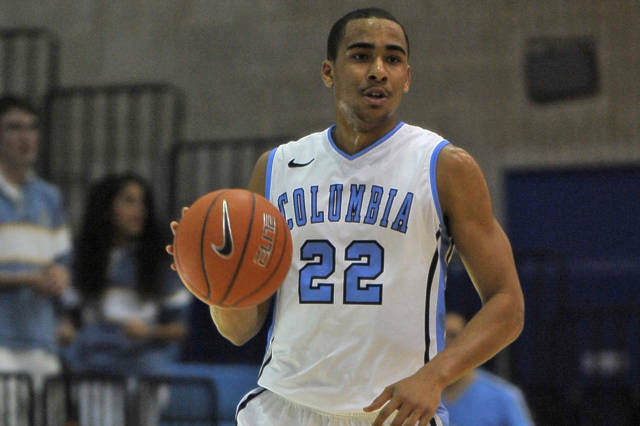 While the sting of En’Wezoh’s departure will be mitigated by Columbia’s deep frontcourt, the loss of Lyles is a big one for a program universally thought to be on the rise following last season’s 21-13 finish. Lyles came on strong down the stretch in the regular season last year, hitting a game-winning three to give the Lions a win at Princeton, posting 21 points on 80 percent shooting from the field in a 70-68 win against Brown and providing solid perimeter defense on a consistent basis. Lyles’s absence will put pressure on freshman guards Kyle Castlin and Nate Hickman to contribute in perhaps greater roles than previously expected, but Lyles’s tight defense will be missed regardless. His D was a factor in Miles Jackson-Cartwright and Tony Hicks’s combined 3-for-15 performance from the field for Penn at Levien Gym late in the season and he helped contain Armani Cotton in Columbia’s 16-point win over Yale. But that win over Yale may also provide an answer for how replace Lyles going forward. Steve Frankoski notched 17 points off the bench against the Bulldogs, and the senior guard will have to help fill Lyles’s shoes in 2014-15.